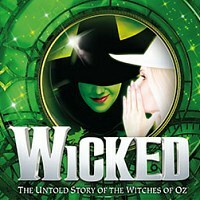 Wicked is the multi award-winning prequel to the Wizard of Oz, taking more than 100 international awards since its debut. Wicked is already the 14th longest running show in London theatre history and has now been seen by more than 9 million people in London alone. It tells the incredible untold story of an unlikely but profound friendship between two young women who first meet as sorcery students. Their extraordinary adventures in Oz will ultimately see them fulfil their destinies as Glinda The Good and the Wicked Witch of the West. This unforgettable musical transports audiences to a stunningly re-imagined world of Oz, providing marvels beyond the imagination. Feb 2019:Special Offer: West End tickets for Caroline, Or Change for less than half price!